~GREEN BAY – The bizarre disappearance of Green Bay Packers cornerback Damarious Randall, who vanished from the sideline in the second half of Thursday’s win over the Chicago Bears, turned out to be an order from coach Mike McCarthy. Randall was sent to the locker room to finish the game in a metaphorical timeout. “It was a coach’s decision,” McCarthy said during his Friday news conference. “My decision to send him to the locker room and frankly, we’ve got to be real honest here, we’re going to start evaluating and regulating conversation and things that go on on an NFL sideline? Let’s be real here. I know someone might make a good drama series out of it or something, but it’s not going to happen here. Randall began Thursday’s game against the Bears as a starter in the base defense opposite rookie Kevin King. 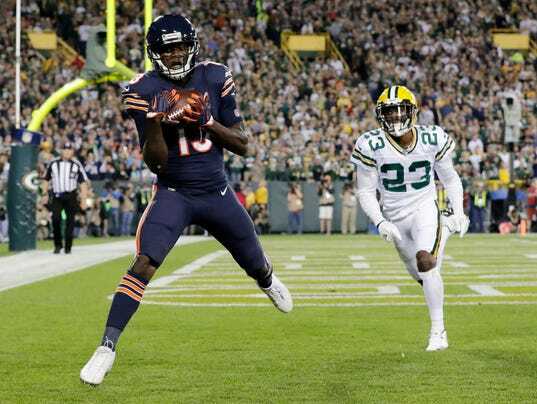 He had an uneventful first half until the closing moments of the second quarter, when a blown coverage resulted in a touchdown pass from quarterback Mike Glennon to wide receiver Kendall Wright. The Bears lined up three receivers to the left of the formation, and the Packers responded accordingly with three defenders of their own. Randall was the defender closest to the middle of the field. When the ball was snapped, Wright ran by him for an easy touchdown reception in the back corner of the end zone. Immediately, Randall threw up his hands in frustration as if he was searching for help from a teammate. It appeared Randall was playing zone coverage while the other defensive backs on that side of the line were in man to man. Wide receiver Amari Cooper of the Oakland Raiders catches a touchdown pass against cornerback Damarious Randall of the Packers a couple years ago. Randall’s frustration carried over to the sideline, where he pouted for much of the third quarter after the coaches replaced him with Josh Hawkins. He was gone from the sideline shortly thereafter. “I’ve addressed the decision that was made and also addressed the environment that we’re working in,” McCarthy said. “So it was a coach’s decision to have him leave the field. Conversation always goes on in any type of situation, and when we come back Tuesday, Damarious will be ready to roll with the rest of our football team. 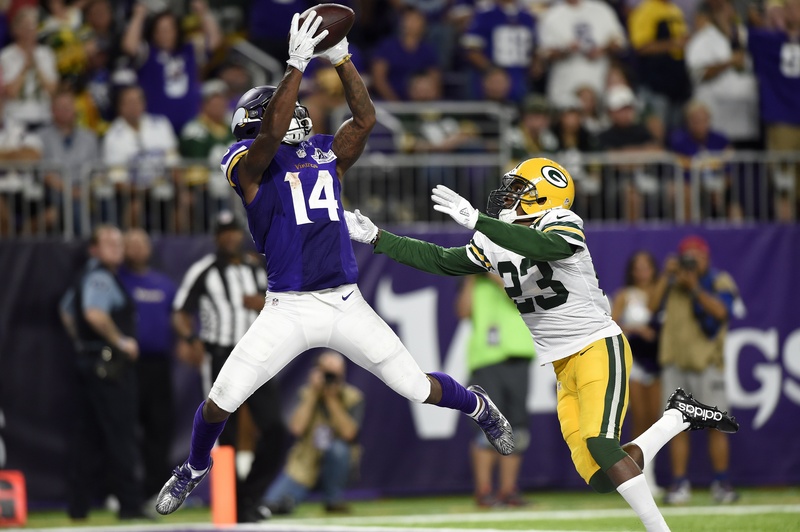 Minnesota Vikings’ Adam Thielen catches a touchdown pass in front of Green Bay Packers’Damarious Randall. Randall is no match for the former undrafted, collegiate walk-on. A report from NFL Network on Friday said there was an argument between Randall and a member of the coaching staff. The report also said Randall may have left the stadium before the game had finished. Packers’ cornerback has a nice view of Falcons’ wide receiver Julio Jones making a big gain. When asked, McCarthy would not directly address the details of the report. He noted, however, that cornerbacks coach Joe Whitt Jr. has moved from the coaching box upstairs to the sideline, switching places with inside linebacker coach Scott McCurley. San Francisco 49ers wide receiver Quinton Patton, left, crosses the goal line for a touchdown as Green Bay Packers cornerback Damarious Randall got torched yet again. 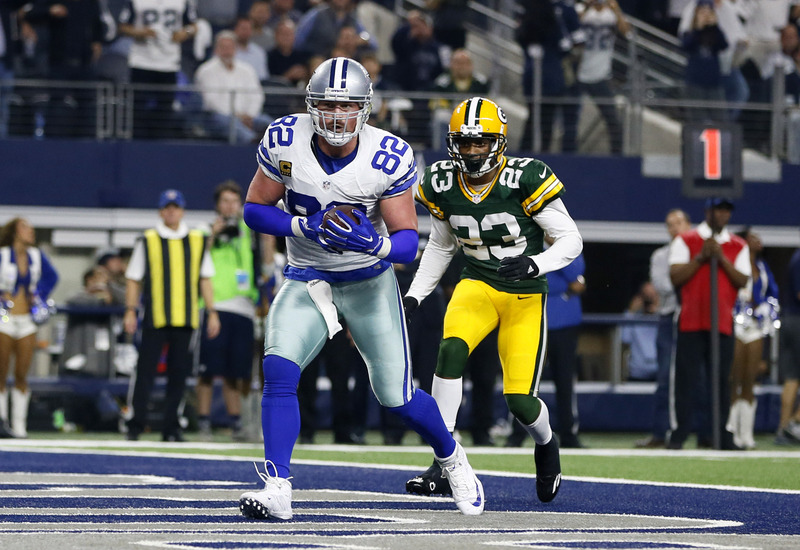 Jan 15, 2017; Arlington, TX, USA; Dallas Cowboys tight end Jason Witten (82) catches a touchdown pass against Green Bay Packers cornerback Damarious Randall, who was no match for the aging tight end. 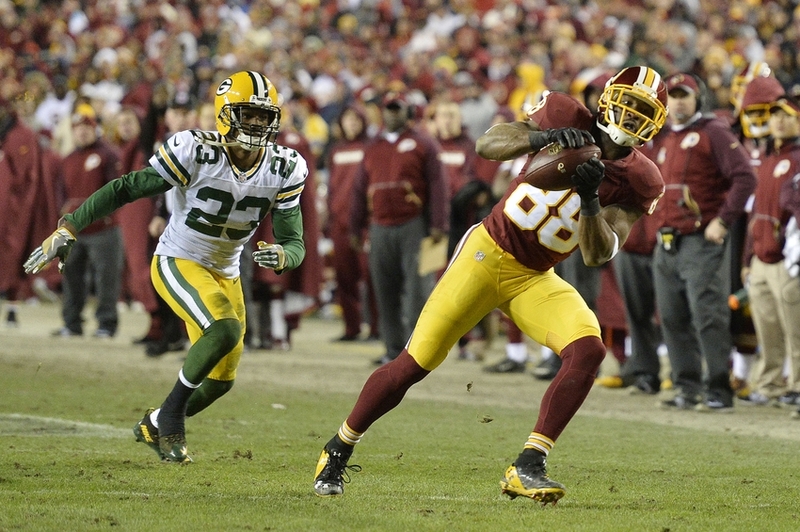 This is not the first time Randall has blown a coverage. His blown coverage or missed assignment, or blatant disregard for the call, cost the Packers the game, and essentially season, in 2015, in the overtime loss in Arizona with a date in the NFC Championship game on the line to the winner. “We had a broken coverage there,” Packers coach Mike McCarthy said after the game, not specifying who made the mistake. Based on replays, it appears the secondary was playing man coverage except for rookie cornerback Damarious Randall, who seemed to be playing a Cover 3 zone. Assuming that’s correct, it made linebacker Julius Peppers’ decision to vacate his position on the field and chase after Palmer even more critical.